Over on his radioforeveryone.com blog, author Akos has uploaded three new posts. The first post briefly explains visually what is meant by line of sight when it comes to radio signals. Essentially at UHF and higher frequencies the radio antenna needs to be able to ‘see’ the transmitter, meaning that any blockages such as trees, houses etc will block the signal. In his second post Akos briefly explains why USB cable quality can matter when it comes to SDRs. He shows that some USB cables tend to pick up more interference than others. Finally in his third post Akos reviews the Uputronics 1090 MHz Filtered Preamp. Uputronics is a UK based company that sells various filtered LNA’s. Akos writes how he’s very impressed with the premium packaging, look and feel of the device and thickness of the metal case. In performance tests the preamp together with a V3 dongle with bias tee power clearly improves ADS-B position reports significantly. 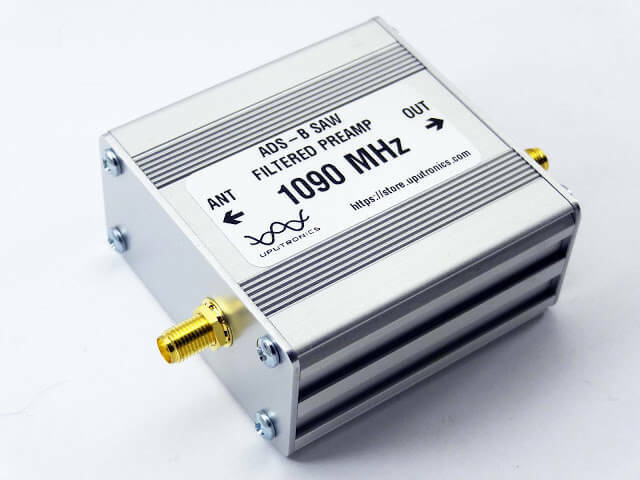 We note that we also have 1090 MHz filtered preamp from Uputronics (an older model), and can also highly recommend their products.